…you’re nearing the end of cleaning jobs and getting creative. …things on the winter project list (operation organization aka chalkboard wall) are getting done! …you’re excited to start shoveling. …you’re so eager for new life around you, the smallest creature catches your eye. …you’re photographing that new little life around you so you can post it to various media and blog about it (because you are procrastinating on your succession plans). SomeBUCKy was busy on the kudzu job late summer of 2012! Eco-Goats welcomed 13 new kids to the herd so far this January. Here are a few pics of the little cuties. Find videos of them and their parents here. The Facts: Botanically speaking, mistletoe is a ‘hemiparasite,’ which means it’s capable of producing its own food by photosynthesis but often/also sends out roots that penetrate the branches or trunk of the host tree in order to steal nutrients. Because it’s an evergreen that cozies up in deciduous trees, we notice it more often in the winter time once host tree leaves have fallen. The seeds are spread through bird droppings – sometimes it is so high up in trees it gets “harvested” by shotgun! . The Folklore: So how did a parasite become a symbol and tradition during holiday festivities? Some say the answer lies in Norse Mythology. In ancient Scandinavia, if enemies met by chance beneath mistletoe in the forest, they would lay down their arms and hold a truce until the next day. This custom went hand-in-hand with the Norse myth or Baldur, whose mother, Frigga, made every object, animal and plant promise not to harm her son except mistletoe, which she overlooked. After a Norse god killed Baldur, with a spear fashioned from mistletoe that brought winter into the world, his mother declared the plant sacred. Baldur was eventually resurrected and Frigga ordered that any two people passing beneath it must celebrate Baldur’s life by kissing. Those berries, by the way, probably shouldn’t be eaten. Quite a few sources say they are poisonous despite the fact that they have long been considered an aphrodisiac. Wondering what to do with okra you can’t eat? Overgrown okra getting you down? It is a true joy to be harvesting okra throughout all of Sep. and into Oct. from my garden at home. The best part is when the okra is too big for me to enjoy, I am able to share it with my Shar Pei, Logan. Just for fun, here he is enjoying his selection of oversized okra. Author AllisonPosted on October 2, 2012 October 2, 2012 Categories Organic MattersTags dogs, garden, just for fun, okraLeave a comment on Dogs Love Okra? Pressure Canning Class Prince George’s County Extension Office: Friday September 14th 9:00 a.m. – 12:00 p.m. The class will teach up-to-date techniques and safety procedures (USDA approved) for canning low acid foods such as meats and vegetables. Pre-registration required. Tickets are $35 per person and fee includes a copy of “So Easy to Preserve” as well as handouts and materials for a hands-on activity. For more information please contact Norma Fitzhugh at 301.868.8784. 6th Annual Heritage Harvest Festival at Monticello: September 14th-15th. Pre-Fesitval activities on Friday the 14th include “Growing a Greener World Workshop” with Joe Lamp’l (Reservations Required and tickets are $15) and “Grand Preview Field-to-Fork Dinner and Evening” with Joel Salatin (Reservations Required and tickets are $90). Baltimore City Farm Alliance 2nd Annual Urban Farm and Food Fair: Saturday September 15th 2:00 p.m. – 5:00 p.m. There will be lots of local farms and farmers swapping stories, planting and other activities for kids, and beekeeping demos. More details here. With so many of us busy as bees on a daily (and nightly) basis, it is easy to find ourselves overlooking the small wonders in our own backyard. Sure, we notice the unusually colorful migratory birds and chat with neighbors about the raccoon breaking into trash cans, but rarely do we stand or sit still long enough to admire how the littlest species (littlest yet visible to the naked eye, that is) communicate with one another and how we can communicate with them. Each firefly species has its own pattern of flashes, discernible by the number of pulses (flashes) and seconds of delay in between. Fireflies flashing in the air are males. The females stay down in the grass observing and looking for the flash patterns of males of their own species. 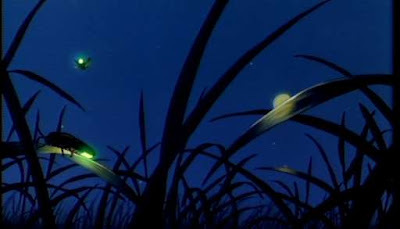 Female fireflies will sometimes respond with a single flash of their own, always at a precise interval after the males. If this topic captivates you as much as it does me, you may want to check out this Tufts Now news article about the 2011 findings in Correlated Evolution of Female Neoteny and Flightlessness with Male Spermatophore Production in Fireflies (Coleopetera: Lampyridae) and start practicing the double blink of the male Photinus greeni on your penlight. Itching to start the weekend on this B-E-A-UTIFUL Friday afternoon but stuck at your desk? Good news! There are lots of colorful new pictures of goats, gardens and greenhouse happenings up on the flickr stream. Check them out and get excited about spring plantings this weekend! Please enjoy this adorable little Eco-Goat: Napoleon. Find more videos of Sir Cuteness (and his friends, family and roommates) on my YouTube channel. Author DeborahPosted on March 9, 2012 June 19, 2012 Categories Organic MattersTags cute, eco-friendly, eco-goats, goats, just for fun, videoLeave a comment on Happy Friday! What’s better than waking up to find a baby seal has entered your house and snuggled up for a nap on your couch? Not much. But if you happen to love squirrels and have an affinity for all things purple (because it is your niece’s favorite color), hearing about a bright-colored, bushy-tailed little fella like this is a pretty nice way to start the day. 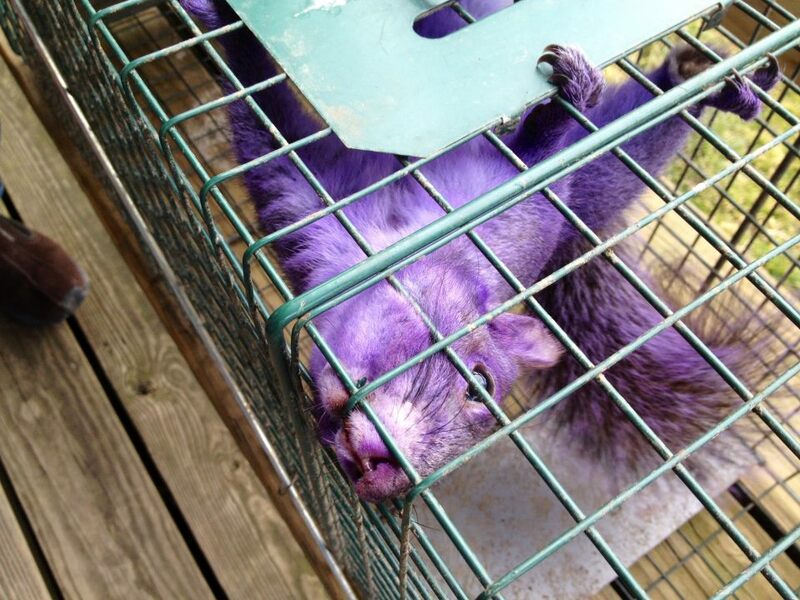 Connie Emert, of Jersey Shore, Pa., spotted the purple squirrel dining on bird seed a few times before her husband Percy trapped it on Sunday. Experts at AccuWeather.com have speculated that the squirrel may have fallen into “some purple ink of purple paint at some point.” I suspect the squirrel is nature made because nature is just that awesome. Read the full story and listen to the news report here.